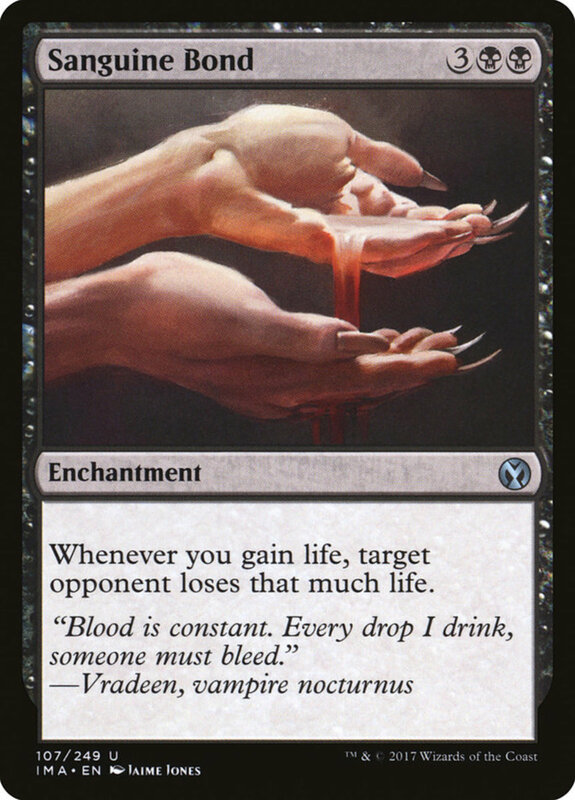 What Are the Siege Cards in Magic? Like most regular enchantment spells, the Siege cards are permanents that indefinitely remain on your field, providing a variety of different effects. 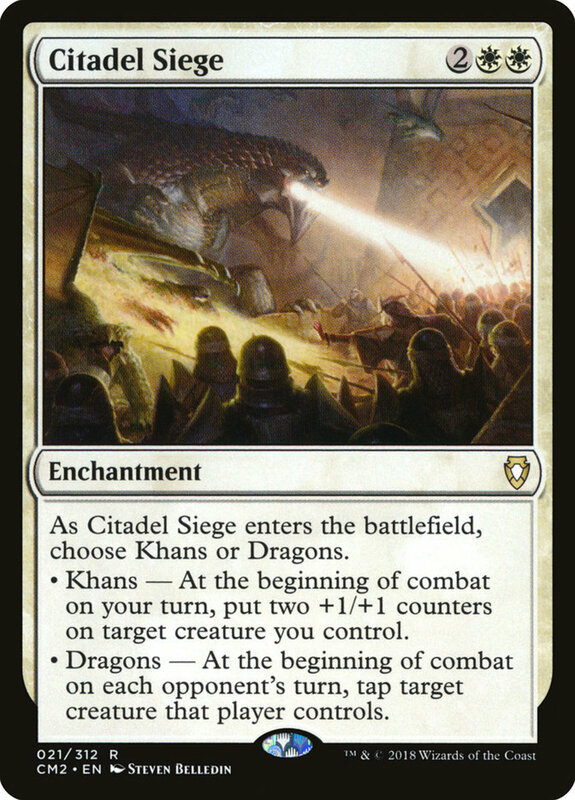 One Siege exists for each color, and when cast, they let you choose between their "Khans" and "Dragons" abilities, adjusting their bonuses to fit your game's needs. The correspondence between the artwork and effects of these cards plus the option to select different effects make the Sieges some of my favorite spells. But with a handful of separate units each bearing two choices, which clashes between man and dragon reign supreme? These are the five best Siege cards in Magic: The Gathering! Black's Palace Siege costs the most mana, needing a substantial chunk of five resources. 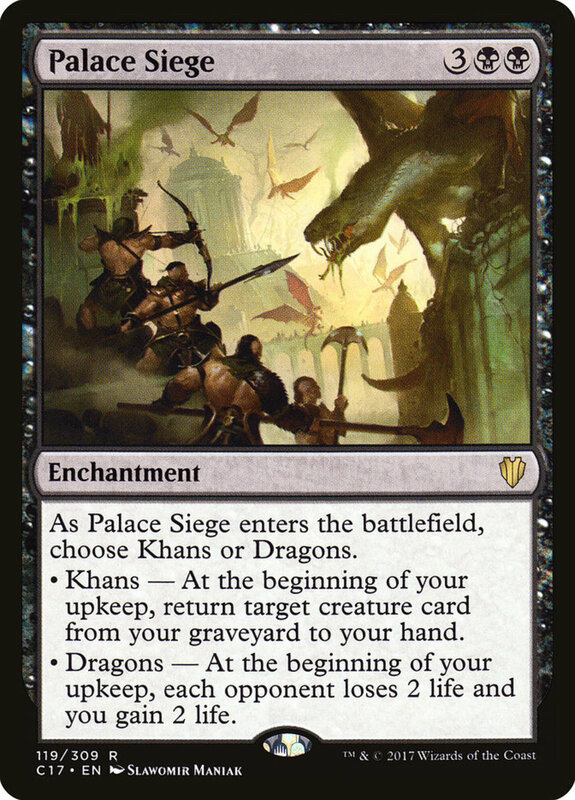 Like all Sieges, you pick between Khans and Dragons when it hits the field, and you can't later alter your choice (although you can choose different options if you play multiple copies). 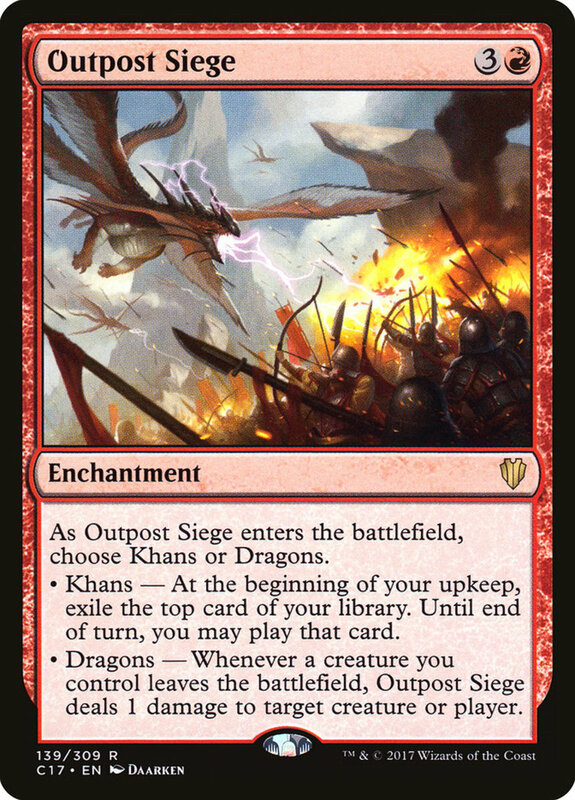 Both effects trigger during your upkeep; Khans returns a creature card from your graveyard to hand while Dragons drains two life from each opponent. I generally favor the Dragons effect, especially in multiplayer, but it really depends on your game's state. A decent spell, though I wish the abilities occurred at your end step, letting you attain their uses without having to wait until your next turn's start (and giving your opponent a chance to destroy Palace during their round). 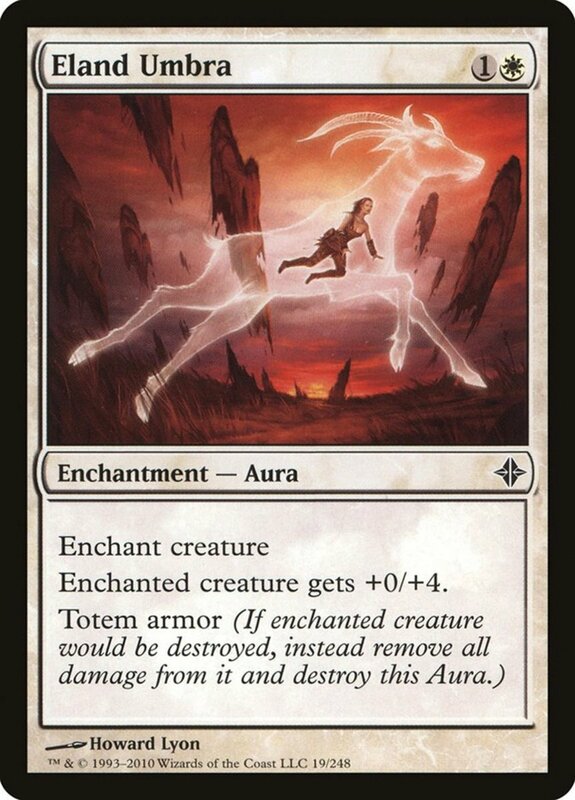 Like most Seiges, white's Citadel costs four mana. 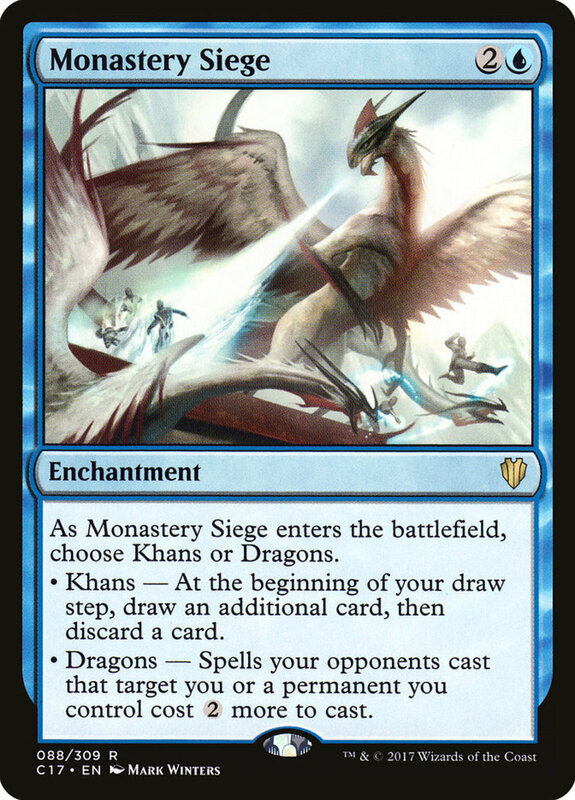 Choosing Khans let you place two +1/+1 counters on a creature you control at the beginning of combat on your turn; Dragons lets you tap an opposing creature during each opponent's combat step. 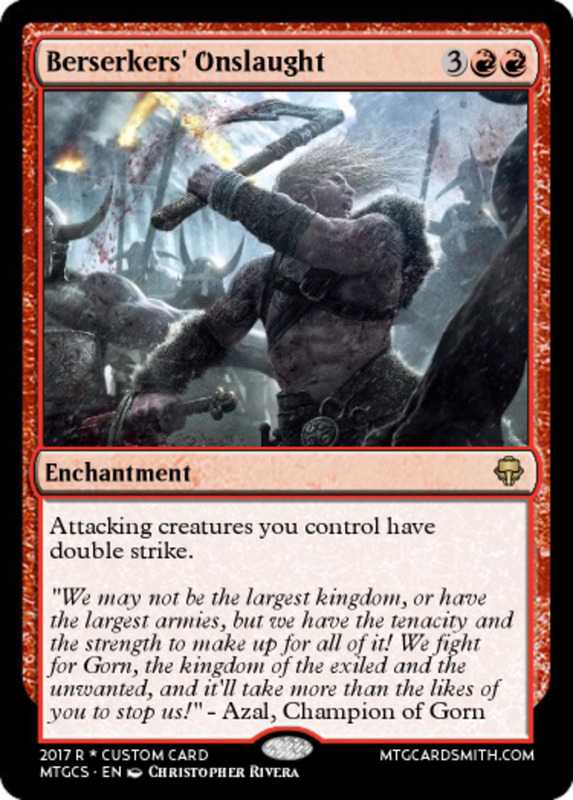 Both are decent effects, though I generally prefer Khans for its permanently-lasting counters and quick activation (if played on your first main phase, you'll get the counters in the very next part of your turn). 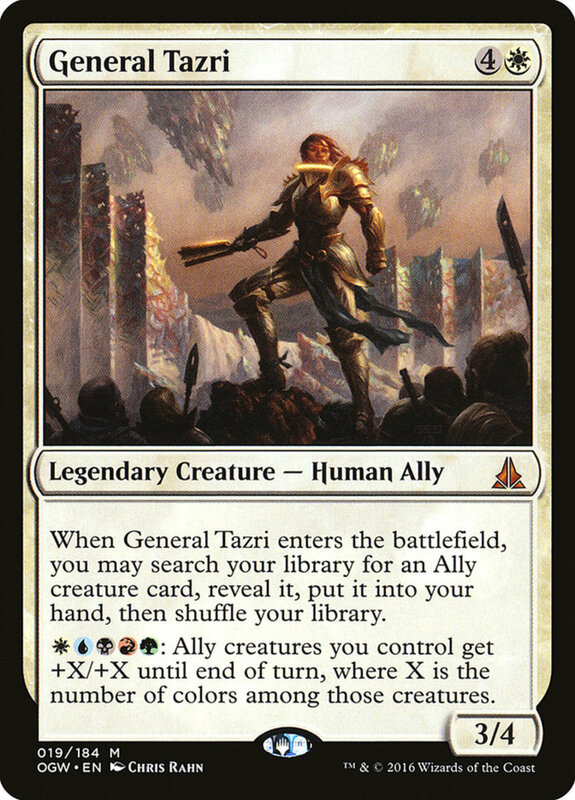 Outpost also demands four mana, but unlike Citadel, only one has to be red, making it easy to blend into multicolor decks. Its Khans exiles the top card of your deck at your upkeep, letting you play it that turn (and pay any necessary costs). Dragons deals a single damage to a creature or player whenever a monster you control leaves the field. This choice is usually an easy Dragons, as Khans takes time to activate and can mill your own deck if you're not careful. Being able to inflict some pain to either your opponent themself or their units punishes foes for removing your troops and stacks especially well with the token-swarming antics of cards like "Krenko, Mob Boss". Note that Dragons handily activates however a soldier exits the field, whether through death, exile, or being returned to the hand. The forests of green access this potent enchantment, with Khans adding two green mana at the start of your main phases. If you instead choose Dragons, when you field a creature with the flying trait, you can have it fight an opposing unit, causing them to damage each other and forcing weaker enemies into unwanted combat. In most cases, Khans is the clear winner here. 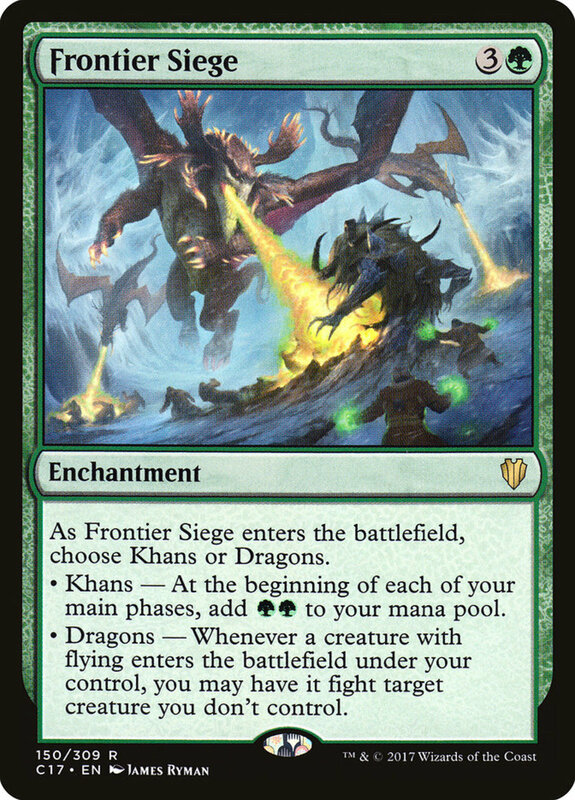 Dragons can be nice for multicolor flying decks, but since green is the least aerial faction, Frontier's flying support isn't generally needed. Instead, note how Khans provides two mana at both of your main phases, giving a total of four each turn! Combo this with commander "Omnath, Locus of Mana" to stockpile your mana across turns and phases until needed. Monastery Siege offers two tempting effects for less mana that its counterparts. 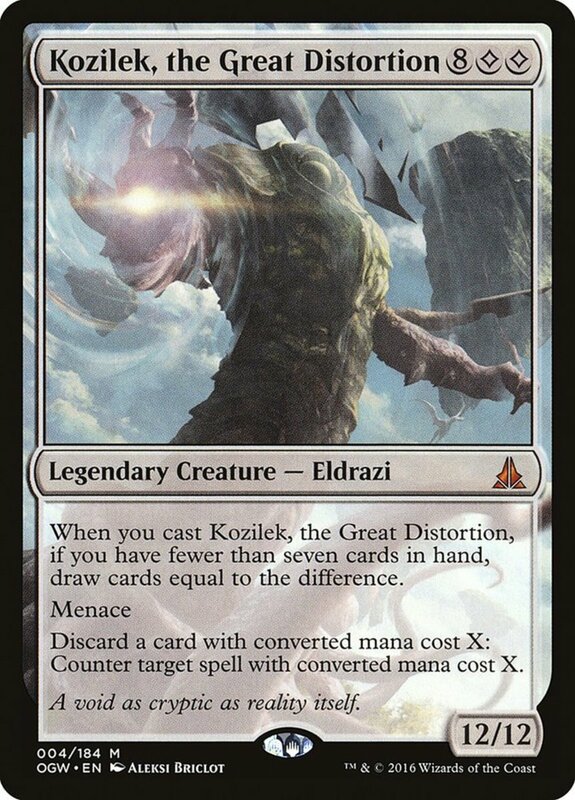 Choosing Khans lets you draw and discard a card during your upkeep; your overall hand size doesn't change but you can keep what you need and toss what you don't, handily filling your graveyard for "spell mastery, "delirium", and "threshold" effects along the way. Opting for Dragons makes your opponent's spells that target either yourself or permanents you control cost two extra mana, a hefty price that drastically slows your foe's arsenal. Note this handily protects Monastery itself, making it difficult to remove. 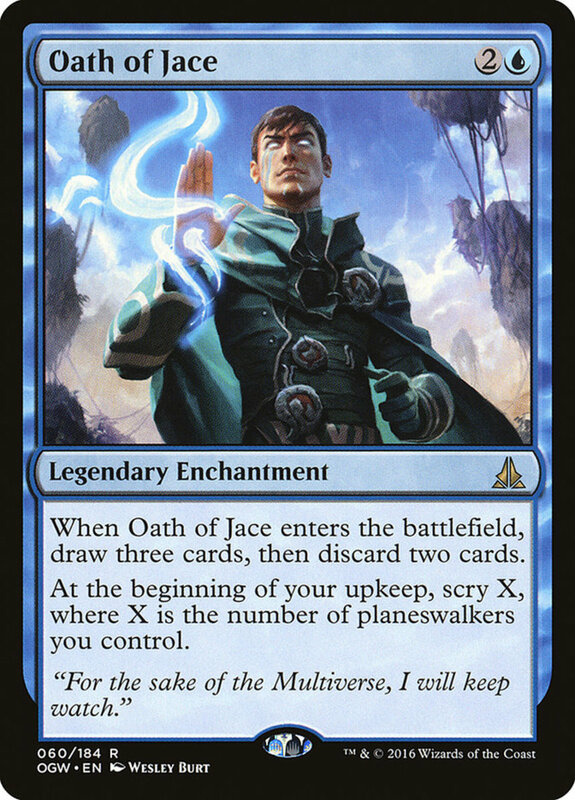 As a final bonus, Siege only needs one blue mana, fitting easily into mulicolor decks, and I use it in several of my own builds. Picking between its two powerful effects isn't easy, but thanks to its affordable price (often costing less than a single dollar), it's easy to test in your own structures! Despite their varied colors, Sieges share the enchantment type, qualifying for supports like the recycling of "Crystal Chimes" and the experience counters of "Daxos the Returned". Since most cost a fair chunk of resources, green's mana ramping can help afford your Sieges early on, making good use of their continuous effects. With their variable effects, I'd love to encounter a new batch of Sieges in a future set, but for now, as we eagerly await Wizards of the Coast's next expansion, vote for your favorite Siege and I'll see you at our next MTG countdown!